Nadi Astrology, an ancient mystical science that claims to possess the script of your life is an area deeply explored on DelhiPlanet. Thousand’s of people across the world acknowledge the fact that this astonishing process has revealed their future to them up to a reasonable amount of accuracy well in advance of time. The concept of Nadi Astrology which essentially leads us to believe that all living beings are governed by fate rather than free will is in itself an intriguing one. Do we control our destiny, or do unseen forces manipulate us? A man glimpses the future Fate has planned for him and realizes he wants something else. To get it, he must face overwhelming odds, and decide whether he wishes to accept his predetermined path…or risk everything to defy Fate and get what he desires. To understand the meaning of fate and why certain events in our lives happen the way they do, we need to look back because as many of us realize during our lives, the actions of our present do influence the future. 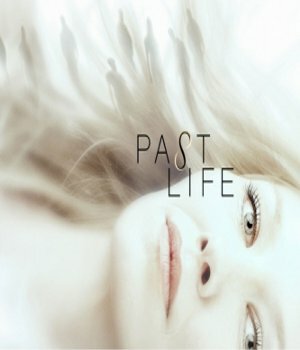 The concept of past lives and rebirth which is believed to be true in many religions is an important element to this and can also be explained scientifically. Many of us agree that all living beings in one way or the other are nothing but manifestations of energy (also referred to as the soul) and as the first law of thermodynamics states, “Energy can neither be created nor destroyed but only transformed from one form to another“. This leads us to the conclusion that upon death all living beings must transform into another form of energy. While it may not be proven by science yet, it is a common belief that all forms of energy also have some form of memory associated with them. It is then safe to assume that the human soul departs with a tremendous amount of information and memory about its actions and this coupled with the elements of Karma is what possibly forms the basis of our life script. As one of our previous articles explored (read here), Nadi Astrology not only provides an individual a general overview of their life but is also capable of providing extraordinary detail on various other elements that many of us experience during the course of our lifetimes. Past birth also happens to be one of them and to understand this aspect better we decided to experience it for ourselves. Below we describe the case of an individual who having found out the general information about his life decided to find the secrets of their past birth as a way to understand the cause of their problems and troubles. The Person: The individual in question is a highly successful and visionary executive in the digital technology space. Despite the person’s extraordinary intellect and ability, great success continues to evade them and unexpected events seem to happen with regular frequency. Although, this person has above average looks and great talent in many other areas, it has been very difficult for them to find a suitable life partner in-spite of trying hard for the same. “You were born many centuries ago in the island of Pungudutivu in Sri Lanka into a very wealthy family. Your name was Lakshamana and as a result of your princely status and power you grew up to be highly arrogant and cruel. During your life you tortured many of your workers treating them like slaves and denying them of their benefits. You also hurt the emotions of many women by using them for your physical pleasure and leaving them in pain and suffering once you were satisfied. The individual in question could immediately connect the actions of his past life to his present day problems but apart from the details that he learnt of his previous birth there wasn’t much else that was gained from the attempt to unlock the secrets of their past birth. Past is history, Future is mystery and Present is a gift from God and probably that’s why its called present.Let us live 100% with a smile Â in the Present without expectations in the future.Because expectations can’t make us happy.The results of our actions can be 1) same as our expectationsÂ 2) less thanÂ 3) opposite or 4) more, than our expectations.So the probability of our actions resulting in results better than our expectations is only 25%.75% of the times we will feel sad in the future..And in the distant future we all are dead.So enjoy in the the present by doing whatever you love and love whatever you do.Help others with your Tann , Mann and Dhan.Give to others and forget, while when you take from others, never forget..
Our destiny is self determined by our own pure life force Energy( KNOWER )Â residing within us,and based on our past Karmas..